It’s been an interesting time for me in the world of writing and writer friends. I’m so pleased that two of my favorite authors—Kris Waldherr and Nancy Bilyeau—have sold historical novels to publishers in the last few weeks. I’m hoping this may be a sign that things are looking up in the world of historicals. I can hope that the market makes a swing back around to the kind of novels I write. But that isn’t a determining factor. trends in the publishing world exist outside of the hard work of crafting a novel. They have to. That’s partly what makes writing and trying to get published so crushingly disappointing. 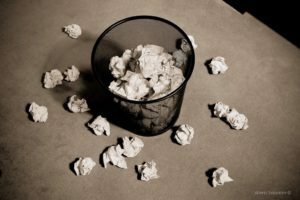 The novels we have inhabited with our very souls, poured all our creative energy into and lavished precious time and resources on, can go off into the world to face rejection after rejection, and not because the work or the writing is bad, but because an editor thinks she or he can’t sell it. Publishing is a business. Writing is an artistic endeavor. It shouldn’t surprise anyone that the two come into conflict time and time again. There is always, always room for improvement. And improvement is always possible. That’s a very empowering thought. I thrive on challenging myself, on pushing myself to be a better writer and to learn each time something I’ve spent months or years on doesn’t succeed in the marketplace. Maybe it didn’t sell because it wasn’t good enough. That’s always as much of a possibility as that it wasn’t right for the market. Writers who aren’t self-critical limit their ability to grow. Starting something new is an opportunity to grow and move beyond the limits I might have imposed on myself in the past. Pushing myself beyond my comfort zone (while still making sure what I’m writing can sustain my passion for the amount of time and effort it takes to complete a novel) is exhilarating as well as frightening. The beginning is rough; the research sometimes baffles rather than enlightens, and it can take a while for a story to emerge from the mass of information and threads of narrative. That’s the magic of it all, though, when suddenly you’re on a roll and characters come to life and the story develops its own momentum. Writing is what I do. If I’m not writing, I’m not happy. Writing includes researching, reading, learning craft, drafting, editing, etc. Nothing I spend my time on gives me more joy and fulfillment. Yes, I want to be published again, and I’m damn well trying my hardest to make that happen. But no matter what, I will keep writing. I don’t know if this answers all the questions about how I can keep going despite disappointment after disappointment. But it’s the best I can do—for now.